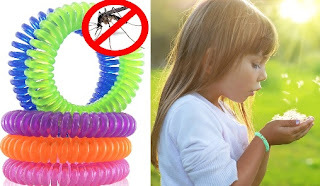 What do you think of this Mosquito Repellent Bracelet? With their efficient mosquito control, you'll never have to spray your entire body to keep mosquitoes away! Just put the ArtNaturals mosquito repellent bracelet on, adjust it so the pest repeller fits your wrist snugly, and enjoy maximum protection, without inhaling fumes from mosquito repellent aerosols.